"The reality is we've worked through some very hard problems and, in general, we have found a way to maintain the deconfliction line (that separates U.S. and Russian areas of operation) and found a way to continue our mission," Lieutenant General Jeffrey Harrigian, the top U.S. Air Force commander in the Middle East, said in an interview. Officials said talks were underway to extend a demarcation line that has been separating U.S.- and Russian-backed fighters on the ground as fighting pushes toward Islamic State's last major Syrian stronghold, the Deir al-Zor region. "We do not do that (communication) with the (Syrian) regime. 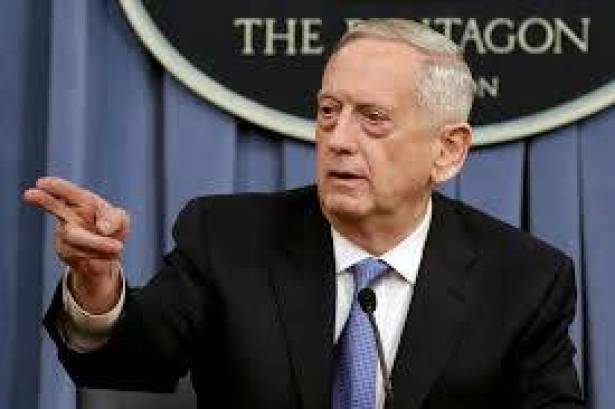 It is with the Russians, is who we're dealing with," Mattis said. "We continue those procedures right on down the Euphrates River Valley." SDF spokesman Talal Silo told Reuters last week that there would be an SDF campaign toward Deir al-Zor "in the near future," though the SDF was still deciding whether it would be delayed until Raqqa was fully taken from Islamic State.